Business owners with unbranded company vehicles are being warned that they could be missing out on being seen by tens of thousands of potential customers every day. The motoring experts at LeaseVan.co.uk have researched into the many reasons business owners should consider branding their vehicles. They have picked out their five top reasons which cover cost, customer reach and even the fact that decals protect your vehicle from scratches and small dents. For more articles on LeaseVan click here, here and here. 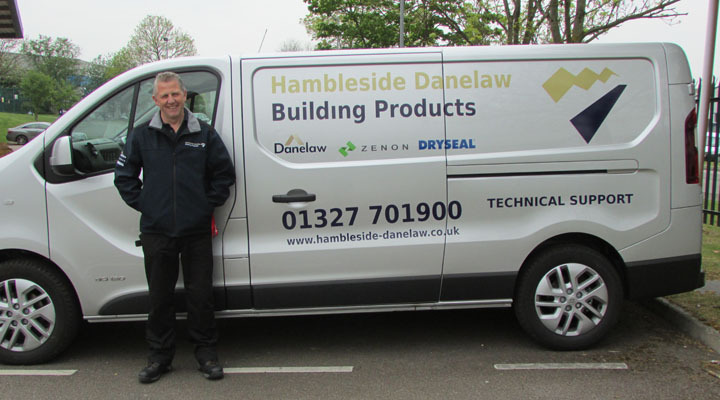 Whilst many business people turn to more traditional forms of marketing to advertise their company and services, there are still thousands of businesses and tradespeople driving around in unbranded cars and vans. As a result of not taking advantage of one of the most effective forms of advertising, they could be missing out on being seen by tens of thousands of people daily. Branded vehicles travel into the view of potential customers instead of waiting for them to come across a website ad or stationary billboard, so depending on how many vehicles a company owns, how often they are on the road and how far they travel, they could be seen by thousands of people all across the country. Tim Alcock at LeaseVan.co.uk said: “Business owners should not only be looking to make a great first impression, but also a lasting impression too, and vehicle wraps are an effective way of spreading your business’ message and making an impact on those all-important potential customers. “You can reach a larger audience with a vehicle wrap than almost any other form of advertising, and in fact many businesses gain more customers from their vehicle wraps than their websites! Unlike billboards and advertisements that involve high recurring costs for as long as you want to place an advertisement, vehicle wraps simply require an initial investment for a fraction of the cost of other long-term advertising campaigns. You can then change your vehicle wrap as often or as little as you like, and it will continue to generate results. Passing drivers will probably not pay much attention to a plain white van on the road, but with a brightly coloured, well designed, attractive vehicle wrap, your company vehicles will stand out from all the others on the road. One thing that many people don’t consider is how vinyl vehicle wraps can offer a layer of protection for your vehicle against any scratches or small dents from road debris. It’s easy to remove vinyl vehicle wraps without damaging the vehicle’s paint so this is particularly something to consider if you are leasing a vehicle, as the extra layer of protection will help towards you returning the car or van in tip-top condition. Unlike radio or print ads, vehicle wraps attract attention without interrupting or disturbing anyone. Potential customers can easily spot your message without any significant distraction from what they’re doing, and it’s largely understood that people respond better to advertising that isn’t so “in-your-face”. Depending on how many vehicles you have, how often they are on the road and how far they travel, you can reach tens of thousands of viewers every single month! Vehicle wraps travel into the view of potential customers instead of waiting for them to see your press ad or stationary billboard. This form of advertising is also targeted because naturally, the people who are most likely to see your vehicle wrap are the ones that live or work in the areas you’re driving to/from. This produces outstanding results because many people like to deal with local businesses. Revealed: UK’s Most Dangerous Roads!